You've probably run out of money before, and you need to get some quick cash. What should you do to get gold? This guide will tell you what you should farm to get money. When you get to level 180 you can get into the Corrupted Gardens. There is a repeatable quest there to collect 5 corrupted blossoms, and you can level up from level 180 to 200 using just this quest! So do you level up, or sell them. These are the most desired items right now, and sell for a good amount. 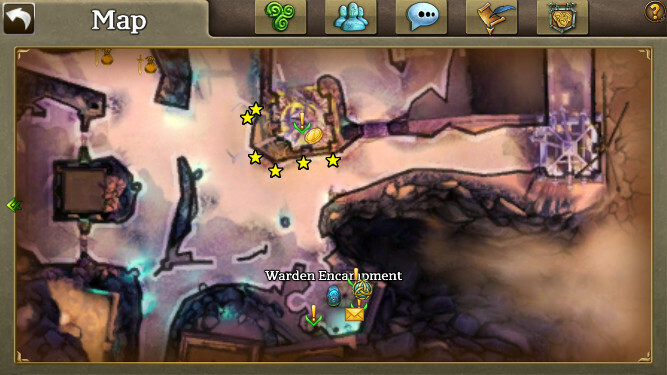 It's like getting 200 gold every 5 seconds if you gather them from one spot. Description: Warden Aisling has asked you to speak with Warden Ciaran and help in discovering how the Corrupted Gardens became so ruined and lifeless. 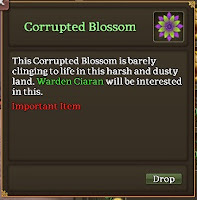 Step 3: Return 5 Corrupted Blossoms to Warden Ciaran in the Corrupted Gardens. The Occult Armour quest is needed by almost everyone. You need 30 vials of each type to get the Occult Armour. While each vial is sought after and can sell for a good amount, Minor Vials from the Bridge of Despair zone are the rarest because everyone levels up too quick, or levels up in Carrowmore, and skips the Bridge of Despair. This makes Minor Vials the most rare and the most expensive. They are semi-rare to drop but if you can farm them it will be worth your while. 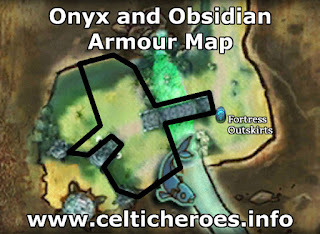 Similar to the Occult Armour Quest, the Beastbone and Ancient Beastbone Armour quests in Carrowmore Tunnels are in demand by players. The Black Boggan room is usually skipped, or bypassed quickly by players. This means that Grand Bone Shards are in demand. If you can farm these you will be able to get some real money. But be advised, these drops are semi-rare like alchemical vials. In many of the caves in Carrowmore Tunnels money bosses appear occasionally. If you can farm these, you will be able to get some good coin, plus some decent rings. Tip: If you multibox, group up to get even more money from the group bonus! Less sought after, but still wanted are the Runes of Summoning dropped by Blackstone mobs in the Otherworld outside the Fortress Outskirts across the bridge. 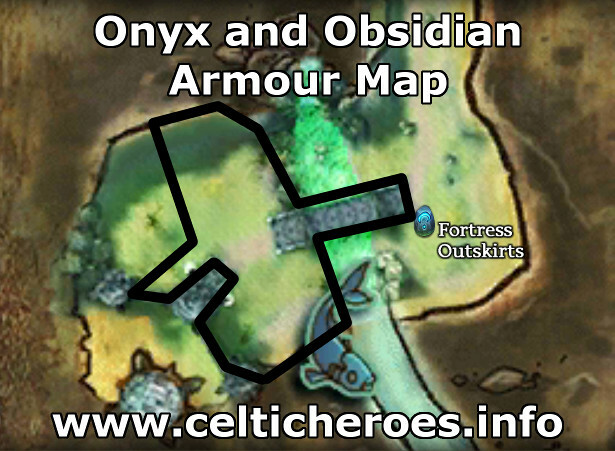 These are quest items that are needed for the onyx/obsidian armour quest. They are wanted because people usually skip this quest enirely, but it is still a good source of income if you can get them. Farm the Fortress Outskirts across the bridge to get them as a semi-rare drop. There is another repeatable quest in the Otherworld that will help you level up quick if you have the items. Kelpies drop horns that cna be turned in as a repeatable quest to get quick XP. If you farm these and sell them, you can get some quick gold. Hawkhurst Chests can be opened to give out Hawkhurst fashion. You can farm these and sell them to others. the reason they sell well is that people don't want to take the time to farm them. YOu can farm them, and then sell for a good amount of money. There aren't a lot of farming opportunities in Shalemont or Stonevale, so we go back to Lir's Reach to farm at... farms! If you can gather up a decent amout of oats, barley, wheat, and lentils from the fields around Highshore Village for free, and you can sell them for gold. The reason why you can sell them is that higher level people want to level up their cooking ability but don't want to take the time to gather the materials.